Mezcal is the embodiment of Mexico. More than just a beverage, it represents more than 500 years of history and culture. 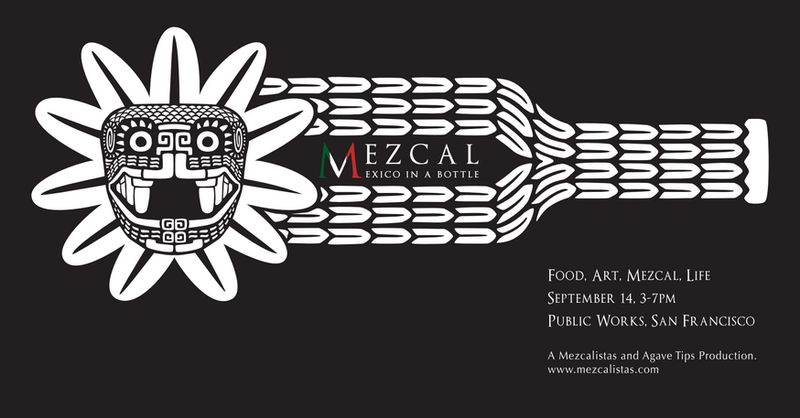 Mezcal’s story isn’t just about alcohol; each bottle is a living link to Mexican history, tradition, art, and music. It’s life and death all in a bottle. Join some of the biggest figures in the mezcal world as we celebrate Mexico’s greatest spirit through tastings, art, music, and a series of exclusive discussions of the hottest topics in the mezcal world. And to keep that whistle wet, the hottest Mexican restaurants from the Bay Area will pair exclusive bites with magical mezcal cocktails. We’ll taste mezcals from a wide variety of brands from some of the biggest in the business to tiny production mezcals not currently available in the US as part of our special tasting series and panel discussions led by Jaime Qiu & Adrian Vazquez of Agave Tips. And, you’ll get a chance to work through horizontal tastings to get a real sense for just how distinct each bottle really is. Mixed video by Fernando Lopez, art installations from Mezcal CUISH, Proyecto Palenqueros, Lorena Zertuche, Jhovany Rodriguez, Txutxo Perez and music by DJ EKG. The event is 21 and over so bring your ID as we will card anyone who appears younger than 30. We will be tasting high percentage alcohols that mostly range from 45-50% so we recommend that you don’t drive. BART and MUNI both have stops very close to Public Works and taxi rides will get you where you need to go without incident. This entry was posted in Events, Foodie, Mezcal, San Francisco, Tastings by agavetips. Bookmark the permalink.